Get iPhone X Emojis on Your HTC or Samsung Device (No Root Needed). It's hard to not to like the look of iOS emojis. Sure, Samsung and other Android phones have emojis, but they're all kind of goofy-looking. And since iPhone x emojis continue to be viewed as the standard, it comes as no surprise that you can actually get them on Android—and without root! Although other apps require root to change your emojis, Emoji Fonts for FlipFont 3 manipulates your font style to implement the iOS emojis onto your device. The app is compatible only for HTC and Samsung devices running Android 4.4 through Android 5.1.1, but hopefully it will work on other Android devices at a later date. Unfortunately, this app has been removed from the Google Play Store, likely due to copyright complaints from Apple. But we saved a copy of the APK installer file, which means you can easily sideload the app if you enable "Unknown sources" in Settings. Once you've done that, tap the link below from your Android device to download the APK. From there, tap the Download complete notification, then press "Install" when prompted. With the application installed, navigate to your font settings page. Now simply select Emoji Font 3, then tap "Done." Be aware, the font will slightly change the style of your system font. It's hardly noticeable and it's the tradeoff for not requiring root access, but adjusting the font size to be slightly smaller will make it significantly less noticeable. This version will likely not work if your phone is running Android 6.0 or higher. 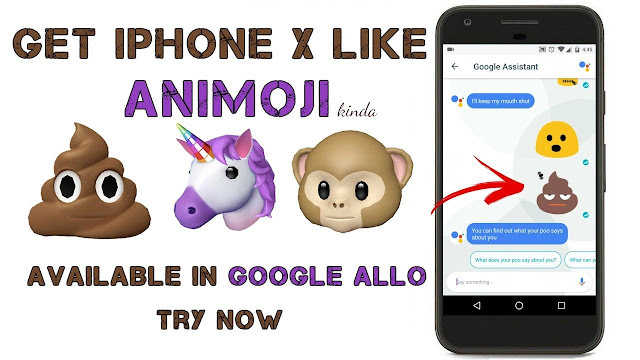 If that's the case, your best bet would be to install Emoji Fonts for FlipFont 5, open the app, press "OK" on the popup, and install and apply the Android Marshmallow plugin. Emoji Fonts for FlipFont 5 is not a perfect replica of the iOS emoji like the FlipFont 3 version is, but it's the closest you'll get on Android 6.0 or higher. Now, when you bring up your emojis from your keyboard, you'll notice the new iOS-style ones. Take a look at the difference in the screenshots below. Note that if you change your device's theme, you'll need to go back to Font settings and re-select Emoji Font 3 (if the theme includes a new font).